The Evangelium Conference for young Catholics has become a major summer event for intelligent, orthodox, upbeat and positive Catholic formation in the faith, together with daily Mass and adoration, and a variety of social events. 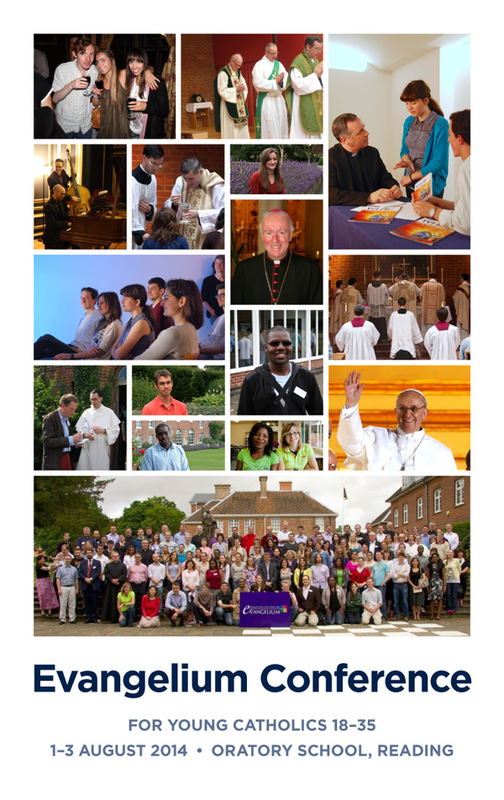 The Conference is open to Catholics aged 18-35 and takes place at the Oratory School in Reading from Friday 1 August to Sunday 3 August. 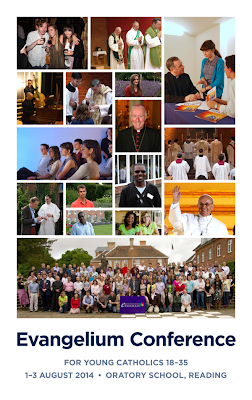 You can find further information at the Evangelium website: a summary of the Conference, a list of speakers booked so far (including Bishop Philip Egan) registration forms, and online payment facility.